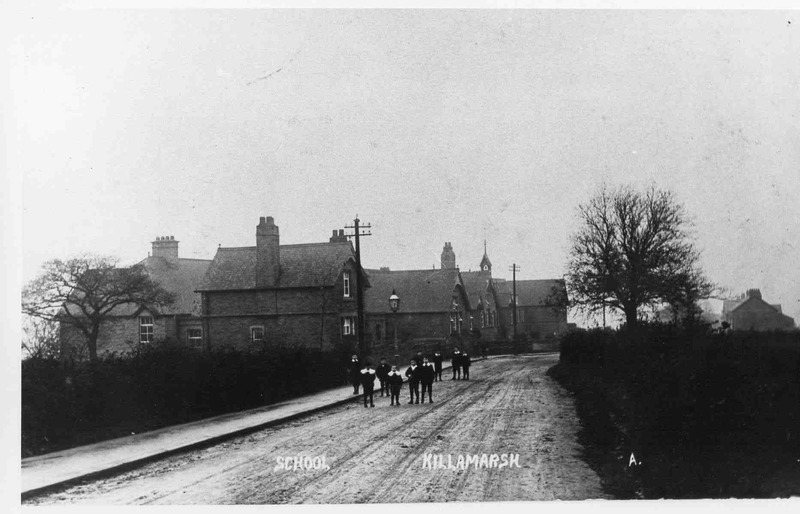 Killamarsh Council School. Photo courtesy of V. Hopkinson. I went to these two schools which comprised the Infants and Juniors in the 1940s, by which time I believe that the house on the left had been demolished to make way for a row of houses, Gannow Villas, which was built in the 1930s. There was also a cinder track leading off there which led down what we called “the wreck” to the bottom of Church Lane. The fact that the road is unmade (not tarmacked) would lead me to believe the photo was taken before 1920. The row of houses on the right is not there and I think they were built in the early 1920s. Does anyone know when this photo was taken? My Dad went to Killamarsh school from 1923 to 1929 but this might be taken earlier?